There’s a reason why most of the buying and selling of loose diamonds is done by experts. Buying loose diamonds, for mounting into jewelry later, is a very different proposition to buying a finished piece. If you’re not fully prepared or haven’t sought out the right advice, it can be an expensive mistake. But that doesn’t mean you shouldn’t do it. You just need to do it right. That may sound like an obvious statement, but the pitfalls can be huge. Get it wrong and you may live to regret it for a very long time. If you know what you want and you would like us to find your dream diamond, click here to fill out our diamond finding form. We still strongly recommend reading our guide below. Out of all the things you need to know about buying a loose diamond, this is the one you should never ignore (unless you’re an expert). Whatever size, color or clarity that you choose, make sure your diamond is certified. By buying a certified diamond, you will have an assurance that you are getting what you’re buying and that it’s not a conflict diamond. Conflict diamonds are smuggled out of war-torn countries and sold on the black market to finance that war. To be certified, a diamond must have a complete and auditable chain of ownership back to the original mine. If a diamond is offered without certification, that’s not to say it is a conflict diamond, of course. 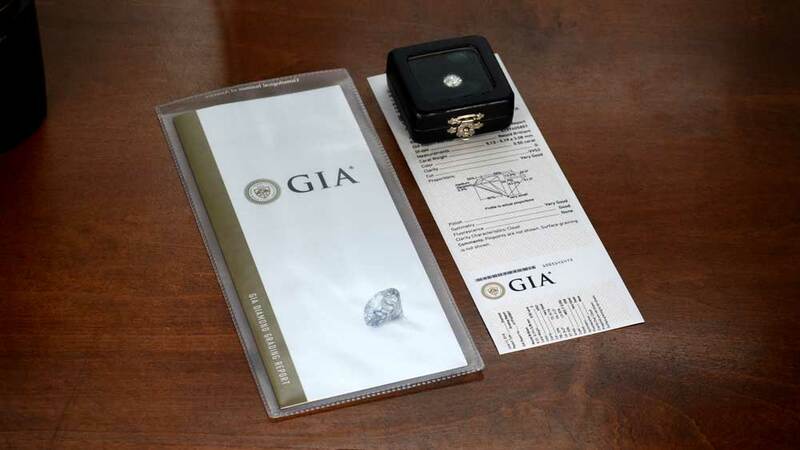 There’s no rule which says a diamond must have a valid certificate in order to be available to buy. However, it does bring advantages. If you buy a non-certified diamond, there’s every chance that you will never be able to sell it. Or, if you do, the price will be very low. Some certification bodies will value the diamond. This can be useful when evaluating for insurance purposes, or simply if you wish to sell it. Certification brings peace of mind and demonstrates that your diamond purchase has not gone to fund wars or exploit children in mines. Click here to learn more about conflict diamonds. With any purchase of a diamond or diamond ring, we always recommend working with a set budget. You know what you can afford, and you know what you can’t. It’s easy to become entangled in an ever-spiraling process of increasing costs. Set your budget a little lower than your absolute top price, so you do have the luxury of some flexibility if needed. If you have your heart set on an antique diamond, things are a little different from buying new. Antique diamonds, due to the less precise cutting and polishing methods, rarely conform to modern cut standards. Because of that, the process might vary widely from dealer to dealer due to the different assessments made. Antique diamonds aren’t an exact science, so be prepared to both be flexible on the exact size or other requirements. 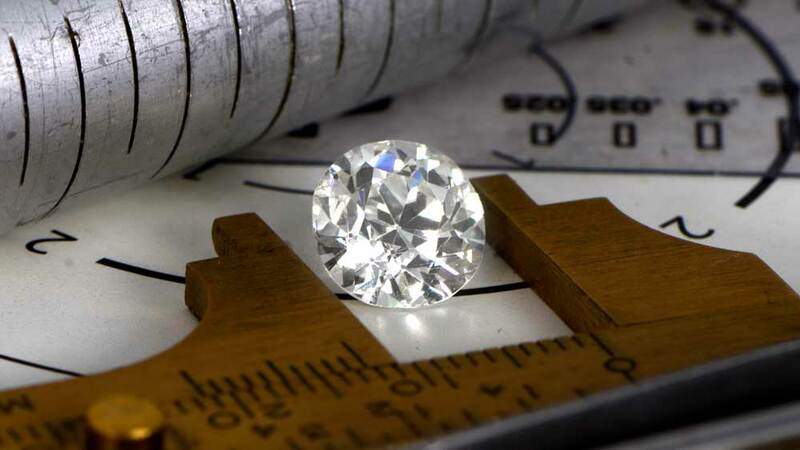 The carat weight of an antique diamond is also likely to be outside standard pricing bands. Know what you want, and you will be over the first hurdle. You also need to consider that the diamond will need to be set. The band and the time to create the ring will all cost extra. However, custom mountings are an excellent way of getting exactly what you want. Here at Estate Diamond Jewelry, we will work with you to create the perfect engagement ring for you, with your chosen diamond. If you have an idea already, please use the form linked to the top of this page to tell us what you’re looking for. Any information you give will help us to narrow down your choices, making the whole buying process much smoother and quicker. The 4 Cs of clarity, color, cut and carat weight is what will determine the price of your loose diamond. Although considered a tradeable commodity, diamonds aren’t like corn or oil. Each and every loose diamond has the potential to be different from the next. This means the price will also be different. Take some time to learn how the different grades within each category will either increase or decrease the price. Often, stepping down a level or two can be very beneficial, price-wise, without noticeably affecting the appearance of the diamond. The setting will also play a part. Many diamonds actually have some flaws which are only visible from underneath. 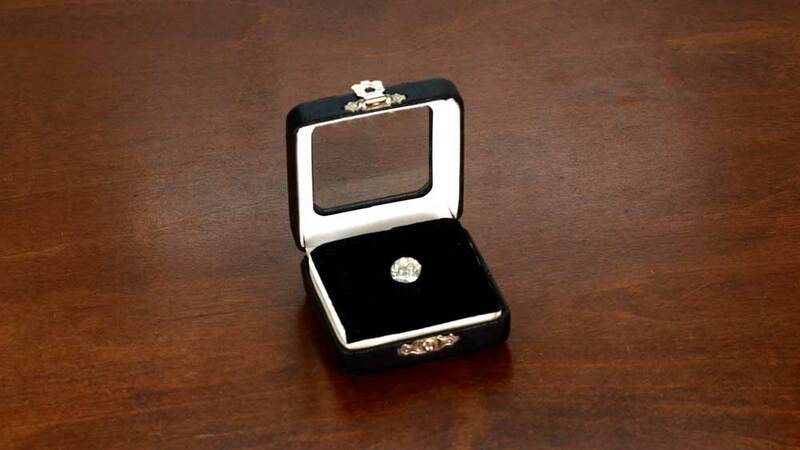 This, of course, is not a view that anybody will see when the diamond is in a setting. It means that clarity becomes a moving scale, of sorts. From above, the diamond may look perfectly good, and yet those flaws may still lower the price a little. Although we think of diamonds as being white, all but a rare few have a degree of yellow tint. In most cases, the color is actually almost impossible to see unless you compare the stone to a known white example. Again, don’t be afraid to drop down a color on the scale. An I color diamond may be only 50-60 of a G color, but the difference is only very slight. At Estate Diamond Jewelry, we have extensive experience in buying and selling diamonds, so please ask if the principle of the 4Cs, and how they can affect the price, isn’t quite clear. 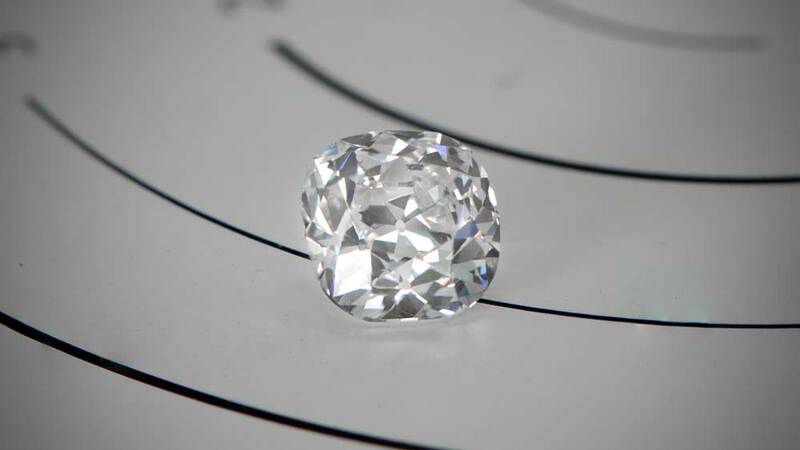 Modern diamonds will usually have very good cut quality. This is due to the use of modern laser cutting methods which are incredibly accurate. Older diamonds may not be quite so precise. Antique diamonds, in particular, will not be consistent with modern demands. Don’t let this put you off, though, as antique diamonds bring a history and quality all their own. Of course, one thing which isn’t open to opinion is the weight of the diamond. Generally, the larger the diamond, the rarer the best color and clarity gradings become. Some online dealers now price diamonds to the exact weight, with differences measured in tiny fractions making the price higher or lower. Others still deal in pricing bands of 1/4 or 1/2 carat. In such cases, buying a diamond at slightly less than the rounded weight eg 1.48ct instead of 1.50ct can result in paying the 1.45ct weight. It’s a nice little bit of knowledge to keep in mind. Something you should know is that diamonds are not the investment opportunity you might think. They will, generally, appreciate in price, but it is not a short-term thing. Diamonds take many years to appreciate to the point where they would be a serious investment decision. Don’t get drawn into paying more than you should for a grade of diamond you don’t need, on the basis of it being an investment. You’ll rarely lose money on a quality diamond, as long as it remains undamaged in any way, but it isn’t a way of earning a salary unless you’re in the diamond business. The only exception to the above rule will be the very expensive diamonds. The very rare diamonds will appreciate in price rather quickly, but those should only be purchased with the help of experts. If you decide on a custom mounting, choose one appropriate for the cut. The diamond may be the hardest mineral we know, but it isn’t the toughest. Catch the edge of a diamond in just the right place, and you will take a chunk out of it. Consider the various mount types and take advice from your ring designer on what is best for your diamond. Custom rings take time. 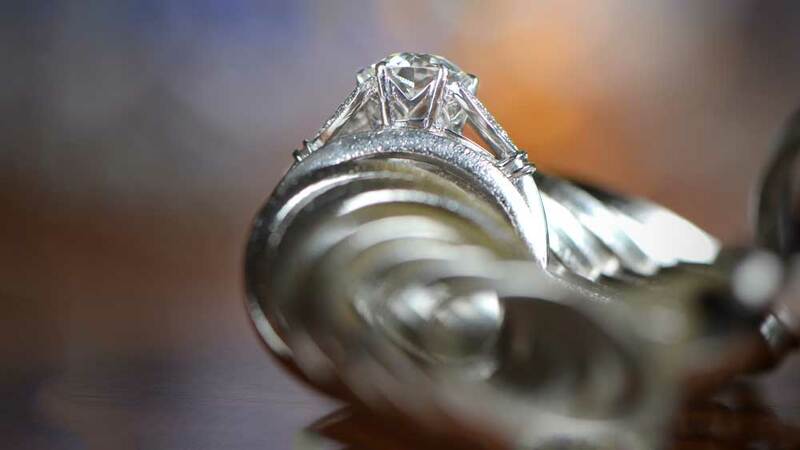 The person making your ring is an expert in an industry which has precision at its heart. Don’t expect to have a ring made in just a day or two, so plan properly if you wish to propose at a specific time. It’s important to know that loose diamonds are not better than set diamonds. They offer flexibility and control, but the loose one you buy will be the same quality as those of the same grade which are already in settings.